Indoor water usage, unlike outdoors, is largely the same year-round. That’s good news, because it means a few water-saving measures can have a large cumulative effect on your total in-home water use. 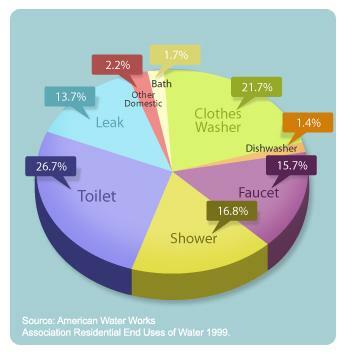 What is the average household’s water use?